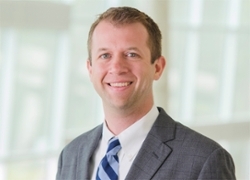 UNMC › Radiology › Faculty › Justin Cramer, M.D. Cramer J, Rassner U, Hedlund G. Limitations of T2*-GRE and SWI in Characterizing Chronic Subdural Hemorrhage in Infant Victims of Abusive Head Trauma (AHT). 2016 Accepted for publication in the American Journal of Neuroradiology. Cramer J, Quigley E, Hutchins T, Shah L. 3D Spine Procedures. University of Utah, Salt Lake City, 2016. Published on iTunes Bookstore. Cramer J, Mann H, Layfield LJ. AIRP Best Cases in Radiologic-Pathologic Correlation: Migrating Pericardial Cyst. Radiographics. 2014; 34:373–376.